Watching the news cycle for the past week or so, I have been pleasantly surprised at how much the issue of poverty is being discussed. There have been many analyses of the successes and failures of the War on Poverty, the 50th anniversary of which we marked last week. But there is one report that has particularly fascinated me -- and many others -- as it describes how women have been struggling the most against poverty in the United States. In partnership with the Center for American Progress, this year's Shriver Report: A Woman's Nation Pushes Back from the Brink examines the problem of poverty as it pertains to women and proposes solutions to eradicate it. Although those of us who have lived and worked in low-income neighborhoods have witnessed firsthand how poverty affects women and their children, seeing the numbers laid out is still overwhelming. Two-thirds of minimum wage workers in the country are women. Forty percent of families with children 18 or under have women as either a sole or primary breadwinner. And despite the gains that women have made in the workplace, the median earnings of women working full time are only 77 percent of what the median earnings are for men in similar roles. In Maria Shriver's essay from the report, "A Woman's Nation Pushes Back from the Brink: Powerful and Powerless," she writes, "[m]any of these women feel they are just a single incident -- one broken bone, one broken-down car, one missed paycheck -- away from the brink." These statistics are not just fodder for ideological debates. They reveal our priorities and values as a nation. And it will take both a spiritual and social movement to change national direction and policy. So how should we respond? These facts and faces of poverty should drive all of us deeper -- especially people of faith -- into finally winning the War on Poverty. But it will require both sound public and economic policies and compassionate personal commitments we must make as a society to keep our sisters from the brink. It's time to move on from philosophical debates over whether a woman's place is in the home or the workplace -- women have long been in both. The public conversation we must have now should be about how we can empower women to find their way into economic stability. Women make 70 percent of the America's consumer decisions and 80 percent of health care decisions. It doesn't make much economic sense for so many women to be making so little. According to the report, 73 percent of Americans support equal pay for equal work. And 78 percent of Americans believe that the government should expand access to affordable, high-quality childcare for working families. These are sound public policies that can go a long way toward lifting women and their families out of poverty. But we also need to look deeper into our best values and examine how the problems of family breakdown and the cultural pathologies of poverty keep women on the brink. Of the low-income women who were polled in the study, 75 percent regretted not prioritizing education and career, and 73 percent felt regret over poor financial choices. Access to good education -- academic, vocational, and financial -- is necessary to lift women out of poverty. Encouraging women and girls to pursue courses of study in math and science, areas that remain male-dominated, is imperative -- not only to ensure that our sisters and daughters achieve their fullest potential, but that they also have the required skills to be competitive in a changing job market. This is particularly important if 40 percent of women are the sole or primary breadwinners in their households. And as a society, we need to commit to nurturing and strengthening healthy and functional families. According to a study done by the U.S. Census Bureau, episodic and chronic poverty levels for two-parent households remain significantly lower than for households with a single parent. While there are destructive cultural values of excessive materialism, violence, and self-destructive behaviors at play, why aren't we naming and challenging racial discrimination and mass incarceration in our criminal justice system, which tear apart families and destroy the economic and social potential of so many of our young men? We must also address the lack of good jobs that keep parents struggling to provide for their families' financial, emotional, and spiritual needs. Despite the seemingly overwhelming odds facing women, it is encouraging to see how so many are truly pushing back from the brink. It is time to make public and personal commitments to support our mothers, wives, sisters, and daughters, who are disproportionately bearing the burdens of poverty. When we provide opportunities for women and girls, we are nurturing strong and healthy families and communities, and ensuring a brighter economic future for us all. 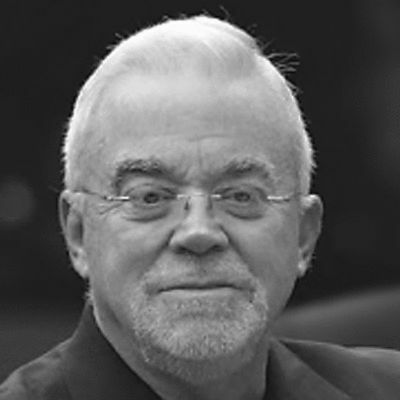 Jim Wallis is president of Sojourners. His latest book, On God's Side: What Religion Forgets and Politics Hasn't Learned About Serving the Common Good, is now available. Watch the Story of the Common Good HERE . Follow Jim on Twitter @JimWallis.